Shibuya translates the contemporary chic and urban sophistication of its namesake Tokyo neighborhood to the MGM Grand. 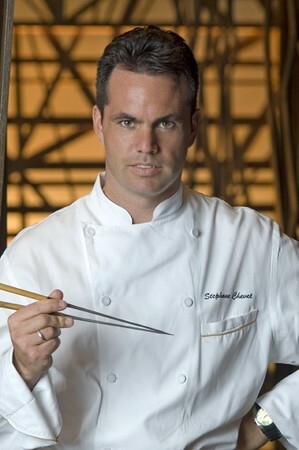 Under the expertise of Executive Chef Stephane Chevet, the distinctive cuisine showcases the diversity of Japanese cuisine, featuring an array of sushi, “traditional modern” a la carte options and classic Teppanyaki fare. With this diversity in mind, noted architectural team Yabu Pushelberg designed the restaurant with specialized dining areas for showcasing Shibuya’s distinctive culinary creations. A stunning collection of sake, overseen by sake expert John Gauntner, completes the authentic experience. Shibuya’s décor blends the industrial with the natural for an ambiance that reflects both a timeless beauty and a marked contemporaneity. Large picture windows reference both the glass-fronted skyscrapers of the Tokyo skyline and massive display fish tanks, allowing passersby glimpses inside the restaurant’s bustling and enticing activity. Wooden pillars that resemble seaweed towers encourage the aquatic imagery and create intimate niches for diners in the main dining room. Farther back in the Sushi Bar, a vast marble counter stretches below an expansive “virtual aquarium” for a playfully stylish dining environment ripe for sushi sampling. In a separate area of the restaurant the dramatic Teppan Room’s red lantern lighting, rice paper and wood walls and black marble tables with built-in Teppan grills provide a stunning backdrop for Shibuya’s captivating Teppanyaki dinner spectacle. On the evening of our visit, we opt for Shibuya’s Teppanyaki experience, which showcases Japan’s distinctive grilling artistry in a theatrical multi-course feast. Shochu cucumber cocktails soon arrive to make our wait even more pleasurable, their crisp, clean taste cleansing our palates in preparation for our amuse bouche of Deep Fried Prawns with Chili Sauce. Doused in bright red chili sauce, the pink curlicue of shrimp reveals a surprisingly crispy, fried texture and subtle sweetness that is well balanced with the sauce’s spiciness. 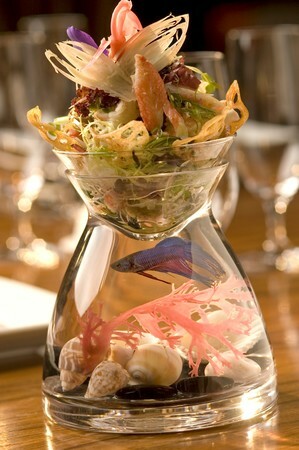 The Sashimi’s artful presentation encourages a sense of culinary wonder. Thin slices of toro and kanpachi are served on a large Himalayan salt block. An accompanying test tube of lemon oil and yuzu is uncorked tableside and drizzled over the fish. The mastery of this dish lies in the Himalayan salt, which absorbs the moisture from the fish and, over time, gradually increases its saltiness, transforming the flavors subtly and making for a dynamic and surprising dish. Nestled in a glass cup decorated by colorful orchids and cloaked in a dry ice fog, the Japanese Tofu’s presentation continues the building dining drama. Like the Sashimi, the Tofu is treated to a test tube elixir of ginger infused broth, which coats the silky curd in a pungent, spicy fragrance. Creamy and milky, with a subtle gingery sharpness, the tofu is an unexpectedly flavorful surprise that confounds all preconceptions of this often overlooked and misunderstood food. The Seaweed Tasting offers similar flavorful revelations, introducing unfamiliar palates to the intricacies of this aquatic green. Four different kinds of seaweed are laid out on the plate, displaying their colorful and textural differences. On the far left, the brown and green Chuka is reminiscent of spinach, with a silken texture and a slight fishy flavor. Accented by bright green edamame, the black Hijiki has an almost dessert-like sweetness, with slight coconut notes. The red and purple Tosaka, on the other hand, returns the palate to savory flavors, reflecting the briney saltiness of the ocean. The green and purple Mixed Shibazuke is mixture of all of the flavors experienced in the previous three seaweed salads: it is nutty and salty, with a miso-like sweetness and a hint of spiciness. After completing our sampling of Executive Chef Stephane Chevet’s dinner menu, we begin our Teppanyaki experience in earnest. We are first brought an Organic Field Greens Salad and Lobster Miso Soup to tide us over while our Teppan chef fires up the grill. A classic mixed greens salad is given new life with the addition of pickled beets and an apple cider and yuzu dressing. Similarly, traditional miso is revamped by the addition of generous nuggets of lobster meat, imparting a sweetness that undercuts the deep, earthy flavors of the miso broth and shiitake mushrooms. While snacking on our soup and salad, our attention is captivated by our charming and talented Teppan chef, who begins his intricate culinary ballet, furiously chopping and grilling the meat and seafood, while simultaneously juggling his spatula and the food, with ease. He brings the lobster tail to life, pushing it along the grill’s surface playfully as if it is inching away from the heat, then creates a dynamic onion volcano that spews fire and steam. As entertaining as any show in Vegas, Shibuya’s Teppanyaki experience is a lively display of culinary feats that reminds diners of the wonders and showmanship inherent in true epicurean expertise. As entrancing as the Teppanyaki performance proves to be, the delicious grilled by-products are no less impressive. We are served a mountain of fresh seafood, Wagyu beef and vegetables, all accompanied by their own individual dipping sauces. Australian Lobster Tail, Scallops, Prawns and Sea Bass are paired with a zesty wasabi mayonnaise dipping sauce, which intensifies the sweet richness of the fish without obscuring their delicate nuances. The buttery, robust Australian Wagyu Skirt Steak is well matched with its pungent peanut sauce, which holds its own against the meat’s heartiness. The citrusy ponzu sauce is an excellent accent to the slight smoky freshness of the grilled broccolini, asparagus, baby zucchini and oyster mushrooms. It is an intensely satisfying assortment of savory treats, showcasing the extremely high quality ingredients used by the Shibuya kitchen. To balance out the protein feast, our Teppan chef whips up a batch of Fried Rice, cooking each component freshly on the grill. Chicken, shrimp and vegetables are all seared quickly and deftly, followed by a compelling juggling act with an egg that is cracked expertly on the side of the spatula for a stunning finale. The sizzle and crackle of the fried rice mixing with these tasty additions builds the anticipation for the dish’s flavors, which prove to be as satisfying as the visual spectacle. Warm and slightly smoky, with pungent garlic accents, the rice and its generous embellishments show that this dish has the potential to surpass its reputation on the culinary side lines. Matching the over-the-top decadence of our Teppanyaki experience, we are served a trio of desserts consisting of Blueberry Mochi, Lychee Chocolate Cake and a Yuzu Strawberry Parfait. Made in house, the Blueberry Mochi transform the traditional Japanese ice cream treat with the tart sweetness of blueberry, which blends pleasingly with the slightly floral sweetness of the mochi’s doughy exterior. Similarly, the Lychee Chocolate Cake gives new nuance to a dessert classic: the exotic fruitiness of the lychee lightens the rich creaminess of the chocolate and manages to imbue it with delicacy and freshness. The Yuzu Strawberry Parfait offers a similarly refreshing conclusion to the meal. The citrusy yuzu custard and bright red strawberry coulis are layered on top of one another in a small glass, creating a bright and invigorating bite of sweetness reminiscent of strawberry shortcake. 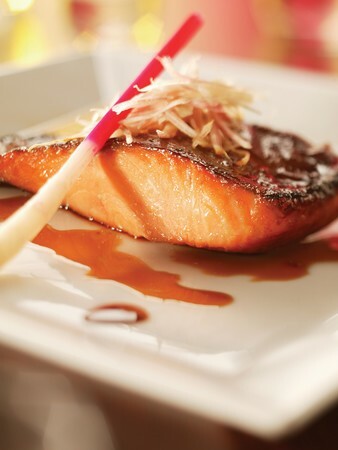 With fresh sushi creations, inventive re-imaginings of classic Japanese dishes and its startling Teppan dinner theatre, Shibuya offers tantalizing glimpses into the diversity of Japan’s culinary culture. Each area of the restaurant offers diners unique opportunities environments that promise a satisfying feast for all the senses. As sleek and stylish as its namesake, Shibuya provide an exquisitely exotic escape from the everyday. Can you explain the dress code for Shibuya? What is the difference between the Teppanyaki and Main Dining Room sections? Those dining in the Teppanyaki section have the experience of watching the chef grill food, while the Main Dining Room provides a more traditional dining experience. How far in advance does the restaurant accept reservations? The restaurant accepts reservations up to 4 months in advance. No, this is a non-smoking establishment. Do I need a reservation for a party of 9? Reservations are always encouraged. Parties of 10 or more are considered large parties, requiring a reservation. Shibuya is a 4 Diamond AAA Recipient for the years 2006, 2007, 2008 and 2009. 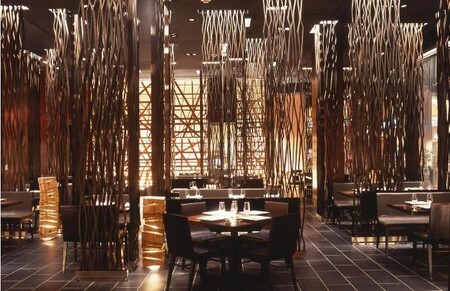 Shibuya has also won Epicurean Magazine's "Best Las Vegas Japanese Restaurant" award for the years 2005 and 2006. 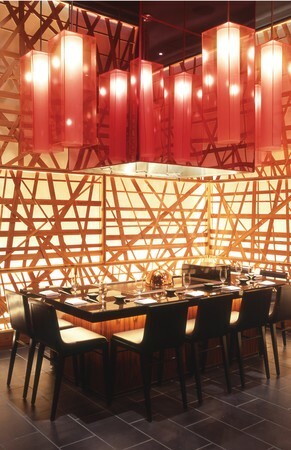 Shibuya has been named Best Las Vegas Japanese Restaurant NCHA for the years 2004, 2005, 2006 and 2007. Which hotel is Shibuya located in? Shibuya is located in the MGM Grand. Teppanyaki - is this possible for 2 to dine alone for this experience? Only available at Teppanyaki. All items to be shared (family-style) except when noted. One plate per four guests. Price does not include beverages, tax, 20% gratuity and setup fees. Best Toro I have had. Enjoy the teppanyaki! It was the best ever! The restaurant was great from service to dessert. We are going back to experience the rest of the menu. I made a group reservation at Shibuya for my daughter's 21st birthday, since Teppanyaki is a family favorite. This is a very nice restaurant, and although their menu is pricy, the food and service were completely worth it. The food was incredibly delicious, and the staff was so friendly and knowlegeable and took exceptional care of us. And when our server heard we would be making a scrapbook page, he brought us some special items with the Shibuya name on them for us to use. We had an outstanding time that we will always remember, and will certainly dine here again when we return to Vegas. Incredible and inventive food!!! 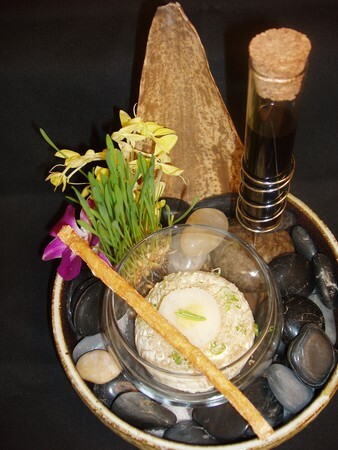 The different tasting menus offered were spectacular! I had the tasting menu and for the price I would have expected a lot less. Full servings and included an appetizer, salad, first course, entrée, and desert!! Everything was delicious. This was my first time eating here but definitely not my last!! Very good food and a great selection of japanesse beers. My husband and I had dinner at Shibuya in May, and it was one of the best dinning experiences we have had. The ambiance was delightful, the food and saki selections were many and each delicious, and our waiter was outstanding. I was not crazy about Las Vegas, but I would go back there just to eat at Shibuya! This restaurant has a great overall experience with a wonderful and attentive staff, a gorgeous setting, and outstanding food. The wait service was amazing especially to a vegetarian. They were knowledgeable about the ingredients in the food being served and that was greatly appreciated. Expect a high-quality meal prepared with the freshest ingredients in a timely manner. My party of four started with three sushi rolls, then ordered two more sushi rolls and a platter of tempura vegetables. Everything was delicious, but don't expect inexpensive fare. You get what you pay for! ONE OF THE BEST DINING EXPERIENCES WE HAVE EVER HAD...WE OPTED FOR THE OMAKASE TASTING MENU..WORTH EVERY PENNY!! OUR WAITER WAS VERY KNOWLEDGEABLE AND MADE GREAT RECOMMENDATIONS..FOOD WAS AMAZING AND WE DIDNT THINK WE WOULD BE FULL, HOWEVER, WE COULDNT FINISH DESSERT!!! HIGHLY RECOMMENDED!! I was so impressed with the service and the quality of the food and drinks at Shibuya. I had heard that the prices were high from other online reviews, but I felt that they fit the experience and I was happy to pay the costs. The sake collection was unlike anything I'd ever seen before. We purchased two bottles which were both divine and worth the costs (though I had questioned the pricing at first). A great night at a fantastic restaurant, one of the highlights of my week-long trip! Food was outstanding, service excellent, Saki top notch. We had the Chef’s tasting menu – it was a bit pricy but worth it. Out of this world were the sashimi creations, the lobster and scallops in a sea urchin sauce and the foie gras on braised short ribs. Every course had a different theme and a special twist, such as the crispy garlic garnish, that made the whole experience very exciting. The staff was very knowledgeable and the service was great. The noise level was a bit elevated, but then it’s Vegas. This place is amazing! The food and service are excellent. It's a great place for a special occasion! The food is special. Great sake and wine list. Some of the best sushi we have ever had. You won't be disappointed. Can't wait to go back! We had such a great time with family watching our meal preparation!! Food was fabulous a real treat! A little pricey but worth every penny!! We took waiter's suggestions since it we our first time. Everything he suggestions was delicious. They just melt in your mouth!!! A visit to Vegas would be complete if all you did was eat at Shibuya and then go to Cirque de Soleil's "O". great ambiance ,great food .a little too pricy though. Good place to eat some fresh sushi, lots of amenities close. Great food and nice selection of saki - don't bother about the dress code though cause they don't care! Good food and beautiful setting. Review title says it all. Other than that it was a great experience. Our dinner at Shibuya was by far the most disappointing of our recent trip to Vegas. The soup was wonderful and the wine selection was excellent. We did not, however, receive the food we ordered and when the check came it included the missing items. The food also was brought all on one dish with no explanation of what dish was what. The service was slow and the waiter was impolite. For the money I think there are better options out there! i went for a Romantic Dinner (on a Wenesday night), but there was two convention dinner in the restaurant !So it was more noisy than a subway station in Manhattan! Peoples just screaming all the time ! IT was not possible to have any sort of Conversation. But i am sure when there no convention there , it certainly is a very nice restaurant! But definitely Overpriced. Second time was not that good as the first time was, unfortunately. You don't get what you pay for here! Some of the worse tempura I've ever had...the batter is too thick and the shrimp too greasy. They would be better off frying it in panko flakes. The restaurant itself was beautifully decorated and the presentation of the food artwork but the quality does not live up to the rating the restaurant has received...a very disappointing venture when there are so many places to choose from in Las Vegas. My husband and I ate here for his birthday. Our bill was over $200. This was expected and is fine for a celebration. The food was average. I would have liked a more intimate dining experience. The restaurant felt to open to the passing casino traffic. Nothing memorable would not eat here again. Great ambiance, attentive staff. Way over priced, but quality of the food was excellent. The food was fair, at best. I ordered the black cod on a recommendation from the waitress. It was horribly oily and not edible. The spinach, meant to decorate the plate, was the only redeeming part of my dinner. My friend ordered the miso soup and yellowtail sushi. I tried her sushi, it was average. It fell apart mid-bite. The waitress was rude and upset "she had to wait on us since our waiter is busy." My drink remained empty throughout my meal. The second I was done with my spinach she plopped the check down on my table, asked if I wanted dessert, did not wait for me to respond and swiftly left my table. (My drink was still empty!!!!) Do not waste your time or money. 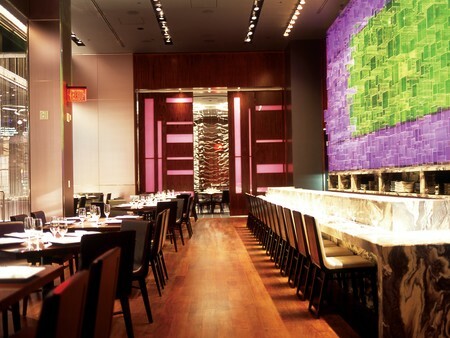 With so many great restaurants in the MGM, you can easily find somewhere else to dine! All show and no go! Fair food by west coast standards! no personality! a lot of plastic boxes on wall! We have gone to Shibuya for many years and enjoyed it. This last experience was the worst I have ever had in Las Vegas. We were at a tepanyaki table and some others joined us. No problem. Expected until they wanted all the leftovers we did not eat. They actually asked for our food the bus boy was picking up! We were horrified! It was so bad at our table that we left before our $300 meal was complete. Now you might think that it was not the restaurants fault but they did NOTHING to curb the loud, unruly, rude, poorly dressed people we had sitting with us. When we were contacted by the hotel to ask about our experiences, they said they cannot curtail the behavior or dress/attire of their guests. That was one of about 6 bad experiences I had at MGM in three days. Never again. Overall a very negative experience. My Birthday dinner gone bad!!!! We arrived at the restaurant of first choice I was craving suchi so girlfriend looked this place up plus one other place for steak . I get a real bad vive about the place when I see people walking in in shorts flip flops specially when it said business casual then I get not even a hello just how many and a teenage snob walk us to the table in the middle of the traffic small booth then 5 minutes go by and no hello nothing waiter passes by hands full and says your waiter will be with you 3 min later a waiter comes over rushes thru the would like a drink thing and they don't have what we want give us a min we said 20 min later we walked out went to Tom's steakplace in the same hotel loved every minute of it food was AWSOME and service was insane!! !